Not so fast! It’s tempting to think that you don’t need to bid on your brand-related keywords if you’re coming up first in the organic results already. Why would you want to pay for sales that you might have gotten for free if the ad wasn’t there? 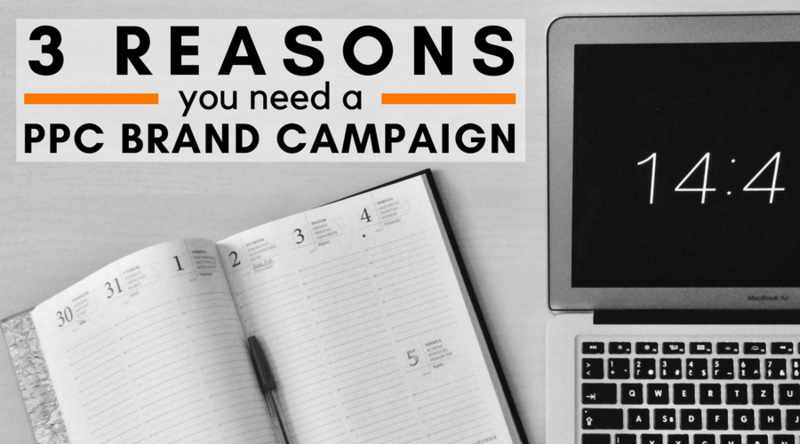 While it’s easy to see the logic behind this thinking, there are several reasons why our PPC experts almost always recommend running a brand campaign. 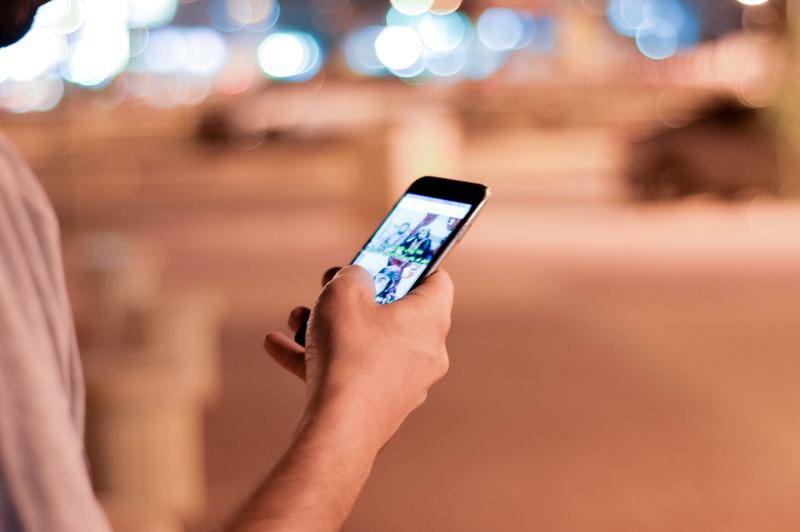 Before we get into why we recommend a brand campaign, let’s take a step back and go over the basics. A brand campaign is a campaign in which you bid on keywords relating to your brand name and website. For example, if I were to create a campaign for LXRGuide, I would bid on keywords like ‘lxrguide’, ‘lxrguide.com’ and ‘lxrguide software’. I might also include our brand name along with other popular searches such as ‘lxrguide reviews’ or ‘lxrguide sign up’, as well as common misspellings like ‘lxrguid’ or ‘lrxguide’. These ads would most likely direct users to the homepage and may also include sitelinks to different areas of the website. So why would you want to bid on these keywords? 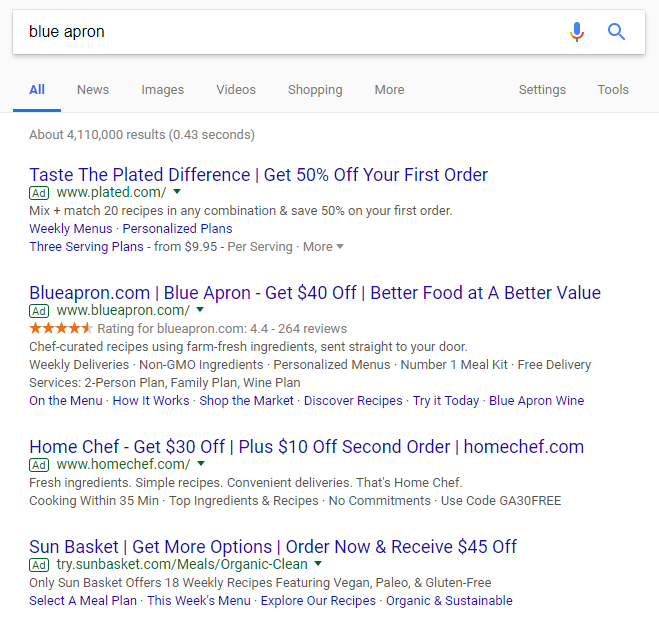 In this example, Blue Apron comes up first in the organic search results, but as you can see there are four ads coming up above the organic results. In fact, if Blue Apron hadn’t been bidding on their brand name, they wouldn’t have shown above the fold even and searchers would have to scroll to see their result! While this may differ for you based on the size of your company and the competition in the industry, it’s always a good idea to make sure you’re protected from the competition. While these two results are obviously very similar, there are some key differences. In the ad, you can see that the company is trying to highlight their same day delivery – it is mentioned in both the headline and description in the ad but mentioned only in a sitelink in the organic results. 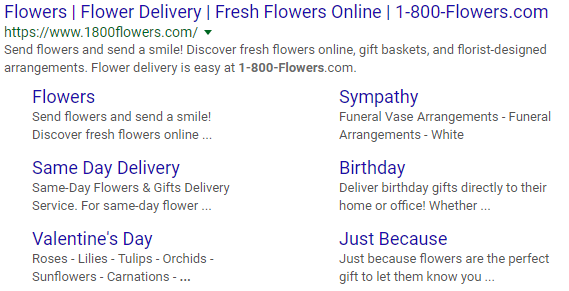 In addition to this, the ad allows 1-800-Flowers to display their reviews; this could help convert a user who might not have clicked on the organic result. PPC ads also allowed the company to control the message in their sitelinks by customizing the description lines. Another reason to bid on branding keywords is they’re cheaper; think a few cents rather than up to a few dollars it could cost for non-brand keywords. So, if your main argument is that bidding on your brand would increase your costs, think of the cost relative to the amount of potential orders it could bring in. 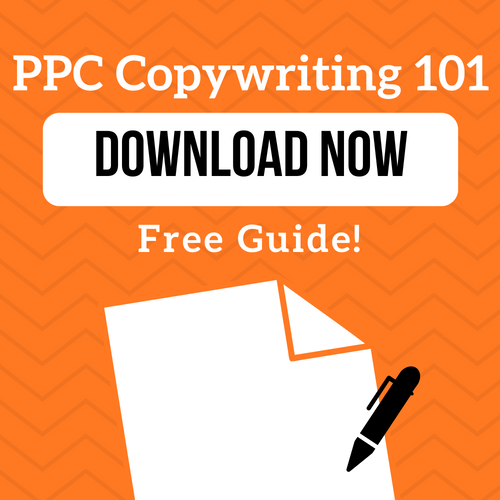 If you’re not currently running a PPC brand campaign, now is a good time to start one! Not only will you be protected from competition, but you can also control the message you’re putting out to searchers by customizing your ad copy. 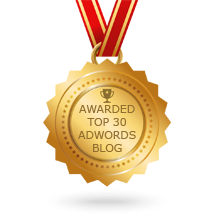 Plus, branded keywords are only a fraction of what non-brand keywords, so you’ll get the most bang for your buck. While your account can’t grow by bidding on branded keywords alone, a brand campaign is a crucial element in your account. Not sure how your account is doing? Try our free AdWords Grader to see how key areas of your account are performing and how many additional orders you could win within the same AdWords budget.